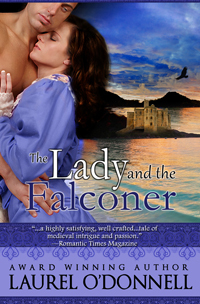 The Lady and the Falconer is now available on iBooks for your iPad or iPhone. The Lady and the Falconer is an exciting medieval romance novel filled with dark and dastardly villains, a castle under siege, a mysterious falconer on a deadly mission, a beautiful lady determined to keep her people safe, and a romance that defies the evils of war. You also get a free bonus preview of The Angel and the Prince and A Knight of Honor.